Barcelona, February 12th, 2019. – Navitian, iVascular´s new coronary microcatheter receives the CE mark approval. 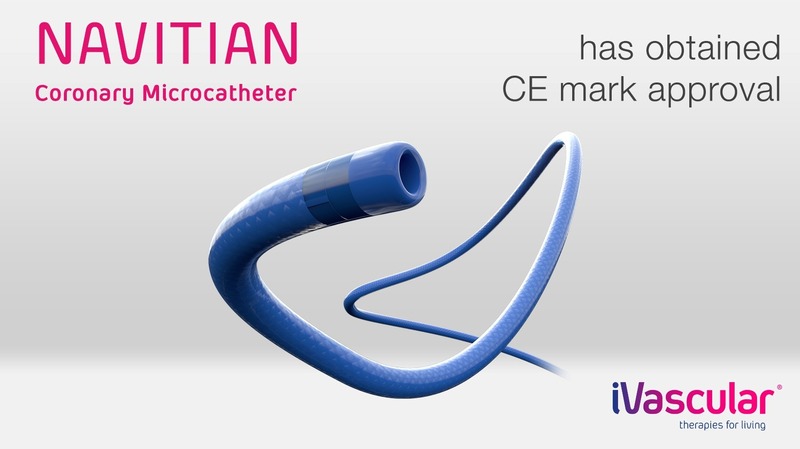 iVascular is pleased to announce the release of Navitian, it’s a new Coronary Microcatheter, which has obtained the CE mark approval to: Facilitate, guide and support a guidewire while accessing to the coronary system, the exchange of guidewire and injection of radiopaque contrast media or saline solutions. Complete braided pattern that provides exceptional flexibility, pushability and resistance to kinking. Hydrophilic coating HYDRAX PLUS having high trackability for small and tortuous arteries. Sizes 135 and 150 cm, guidewire compatibility 0.014”. “At iVascular we work continuously for the improvement of today’s therapies, to achieve the best benefit for the patient.” – said Lluis Duocastella, CEO of iVascular S.L.U.